Offering cost effective pvc & mesh banners, canvas printing, building wrapping, backlit banners, vinyl graphics, wall murals, billboards, 3d banners and flags, backdrops all produced at any size! 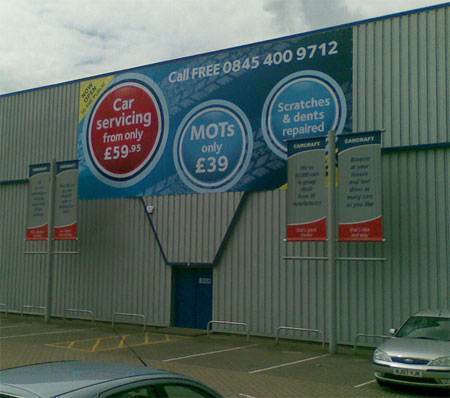 Banners are an ideal, cost-effective solution for promotional purposes to create a big visual impact. We have the expertise to produce the highest quality printed banners from single colour to full colour photo-realistic. 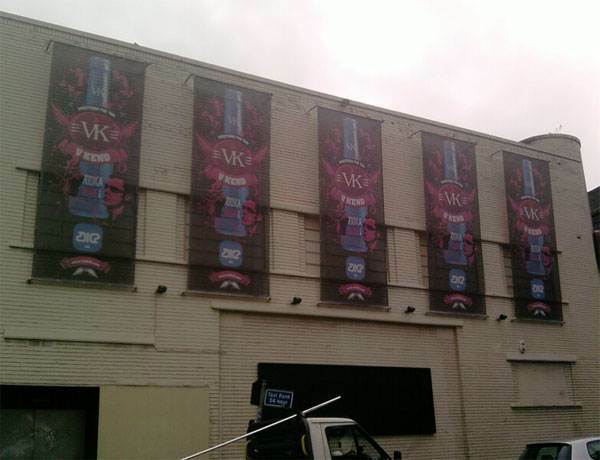 Pyramid Visuals offer a range of high quality pvc and textile banners. We have printers ranging from 1.6 meter wide up to a massive 5 meter in width, the machines include high resolution roll to roll as well as direct to media and standard resolution machines. We control our product to such a degree, that each product we produce goes through a quality control inspection phase. From production design stages to printing, Pyramids quality management team will ensure that you receive a high quality product.Pyramid Visuals produce hundreds of pvc banners and textile banners each week, all are completed to the highest of quality standards whilst produced on our high output machines making almost any target deadline a possibility. Banners provide hundreds of different uses from in-store point of sale and outdoor advertising to large scale event branding. Our continued investment in digital printing technology and print finishing maintains competitive edge and supports very rapid turn-around times as well as the high quality we know our clients are looking for. Banners are suitable for indoor and outdoor displays, billboards, building wraps, graphics, event branding, backdrops and promotional merchandise. We stock a range of materials suitable for our large format machines such as PVC, truckside pvc, backlit pvc, canvas, mesh, polyester, flag, and many more. 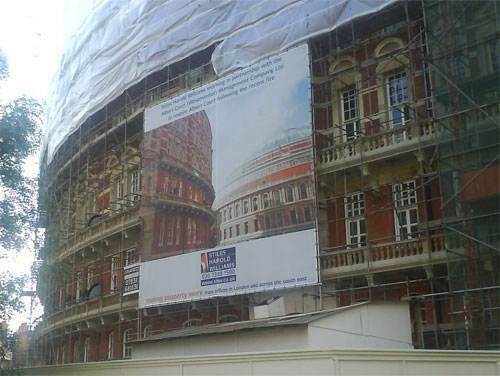 If requested, our banners will be supplied with a written fire safety certificate to British ad European standards.As well as standard PVC banners we also offer fully recyclable banners which are perfect for short term applications of around 6 months. These are slightly more expensive but these banners still offer great print quality and come with any finishing’s if required. 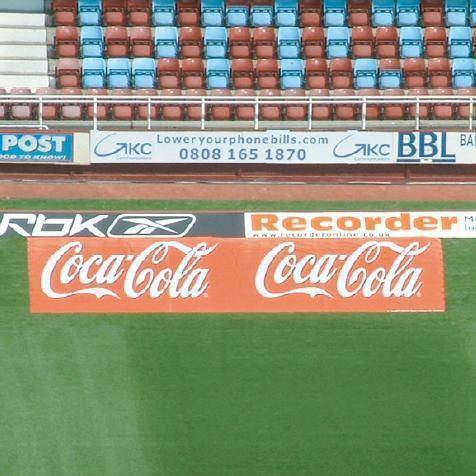 Once you are finished with your banners simply send them back to us and we recycle them for you. We have a full team of in house designers to help you produce the image you are looking for, we can help you with designs for banners as well as a complete corporate design package which can include, shop signage, vehicle graphics and point of sale merchandise, exhibition displays and promotional branding. All our packages are made to each clients individual needs, you tell us what you’re after and we will make it happen. PVC Banners (also known as Vinyl Banners) & Digital Printed PVC Banners are an excellent and affordable way to promote any event or business and are sure to make your event or promotion a success. PVC banners are ideal for a wide range of marketing activities as they are a powerful yet economical way to bring attention to your business, they can be hung almost anywhere, from buildings and ceilings, to fences and polls. Being one of the most popular ways to advertise these are low cost and effective producing a massive turn-around with great potential. There are no limitations when it comes to using banners. They can be used for Trade shows, road shows, product launches, outdoor events, sports events, schools, marketing campaigns, advertising and even exhibitions. 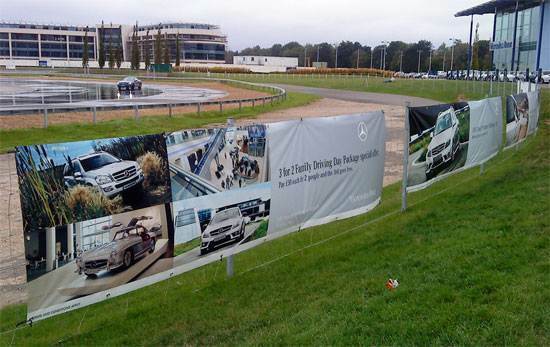 Banners can be produced to almost any size on a wide range of materials. Once printed we can finish your banner (using our 14-metre hot air PVC welder) with pole pockets, standard hemming or eyeleting.We Have years of Experience in making Bannerswe have the experience to provide you with most of your large format digital printing and banner requirements. By digital printing we mean any design that is printed directly from the computer to the substrate by means of a large format ink jet printer. Digital printing circumvents the need for "set ups" required for screen or offset printing, thereby saving money, especially on small quantities. Any material with an all over print allow you to make a dramatic statement at trade shows, job fairs, and product demonstrations. Our digital printing capabilities allow full coverage, top, front, ends and back to co-ordinate your look and make you stand above the crowd. "in house", delivery schedules and quality are under strict control. Large format digital banner printing is also used to produce flags in various sizes for any number of end uses. The quick turn around and design flexibility give your graphics people freedom to create flag displays that would have been cost prohibitive in the past. Whether you want to promote your products and services, improve your communication image, increase brand awareness, or simply make a statement, experienced well-trained professionals at Pyramid Visuals can assist you from concept through design to installation. Contact Us and put a sign solution expert to work for you. Our sales, design, technical and production staff, can satisfy all your needs by producing eye catching banners & graphics, setting you apart from the rest.